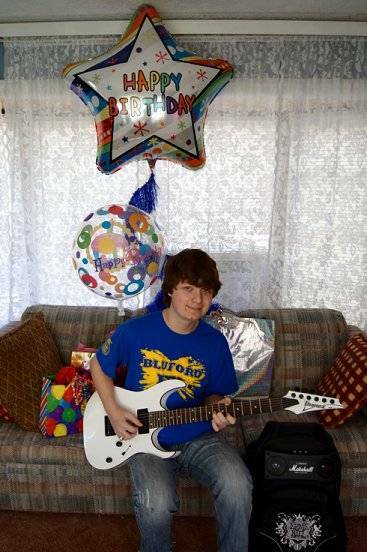 I got this sweet Ibanez RG2EX2 guitar! 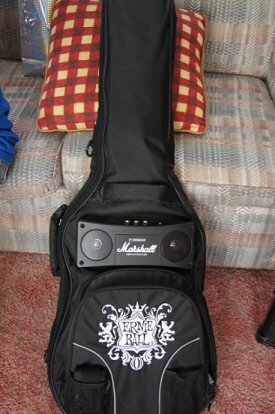 Also I got this Ernie Ball gig bag that has a built in Marshall powered amp that runs off batteries. 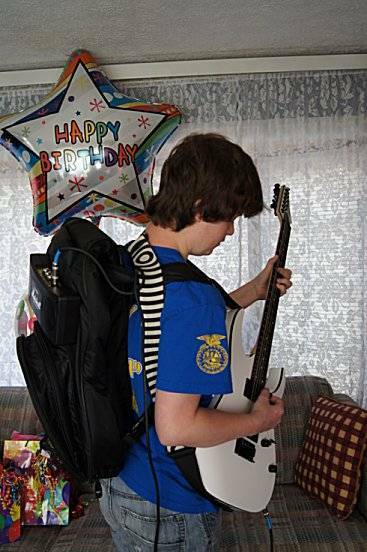 You take the guitar out, fold and snap the neck piece down, pull out the straps, and you got a backpack! Plug in the guitar and your electric is portable! Has a good sound too!! Re: Look what I got for my birthday! Awesome Josh!! That's so totally kewl looking. And Happy Belated Birthday !! !